If you have any experience at all driving throughout Nashville, you have seen our H.O.V (High Occupancy Vehicle) lanes. H.O.V lanes have been in use in the state of Tennessee since 1993. They were instituted, "to promote ridesharing in order to reduce congestion on urban interstates. The central concept for H.O.V lanes is to move more people rather than more cars." as stated by the Tennessee Department of Transportation. H.O.V lanes serve as a great asset to our highway transportation system when properly utilized. Through implementing these lanes freeway efficiency increases, moving more people in fewer vehicles than that of neighboring lanes. H.O.V lanes provide reliability by helping express buses, carpools and vanpools stick to their schedules. Not to mention that H.OV. users cite saving time & money, reduced stress, and convenience as the main reasons they use the H.O.V system. When there is an influx of vehicles on the freeway, demand for lane space is going to shoot up. However, H.O.V lanes reduce competition for the limited space on the freeways during peak traffic hours. Lastly, whenever the total number of car trips goes down, less of a burden is placed on the environment. The potential benefit these lanes can bring are incredible but are rendered useless when abused and unregulated. I frequently travel on the interstate and have been subject to my fair share of rush hour standstills. In peak hours of the day, all interstate lanes are completely congested and the most troubling observation a traveler can make is that the H.OV. lane is piled up bumper to bumper with single occupancy vehicles. At Hytch, we recognize the true benefits that H.O.V lanes can bring to Nashville's transit and ecological environment. 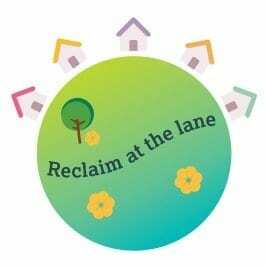 Through ridesharing opportunities that Hytch offers, you have an obligation to #ReclaimTheLane that rightfully belongs to you!! Now there are also issues to our current H.O.V system. Seldom will you ever come across someone who has been pulled over for violating the H.O.V lane. That is because enforcement of H.O.V is next to non-existent. If for some off chance you were to be pulled over due to abusing the H.O.V lane then the only repercussions you would face is a $50 ticket, $10 court fee and NO points on your license. In states like Arizona, tickets will start at roughly $350 and Georgia at $100 (with escalators) for the same violation. This simply HAS to change in order for Nashville to stand a chance at alleviating the congestion pains experienced throughout the region. 1. Voicing your concerns to your local representatives. 2.  Download Hytch to promote ridesharing options. 3. When you see H.O.V abusers flash a two-finger peace sign out the window to signify the H.O.V lane is meant for 2 people, not 1!